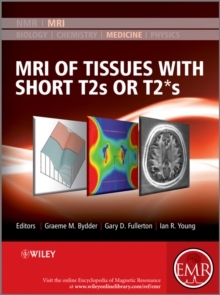 The content of this volume has been added to eMagRes (formerly Encyclopedia of Magnetic Resonance) - the ultimate online resource for NMR and MRI. 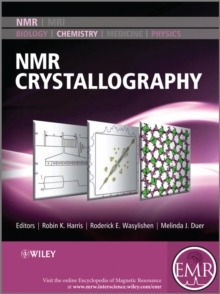 The field of solid state NMR of biological samples [ssNMR] has blossomed in the past 5-10 years, and a cohesive overview of the technology is needed for new practitioners in industry and academia. 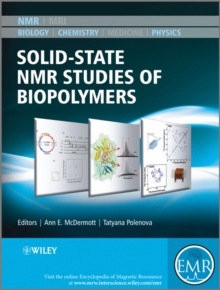 This title provides an overview of Solid State NMR methods for studying structure dynamics and ligand-binding in biopolymers, and offers an overview of RF pulse sequences for various applications, including not only a systematic catalog but also a discussion of theoretical tools for analysis of pulse sequences. Practical examples of biochemical applications are included, along with a detailed discussion of the many aspects of sample preparation and handling that make spectroscopy on solid proteins successful. 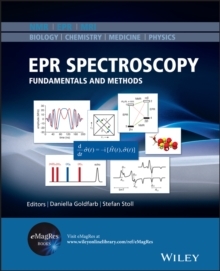 About EMR Handbooks / eMagRes Handbooks The Encyclopedia of Magnetic Resonance (up to 2012) and eMagRes (from 2013 onward) publish a wide range of online articles on all aspects of magnetic resonance in physics, chemistry, biology and medicine. 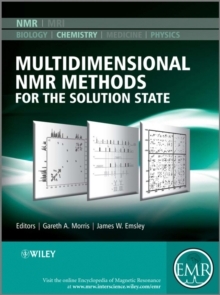 The existence of this large number of articles, written by experts in various fields, is enabling the publication of a series of EMR Handbooks / eMagRes Handbooks on specific areas of NMR and MRI. The chapters of each of these handbooks will comprise a carefully chosen selection of articles from eMagRes. In consultation with the eMagRes Editorial Board, the EMR Handbooks / eMagRes Handbooks are coherently planned in advance by specially-selected Editors, and new articles are written (together with updates of some already existing articles) to give appropriate complete coverage.